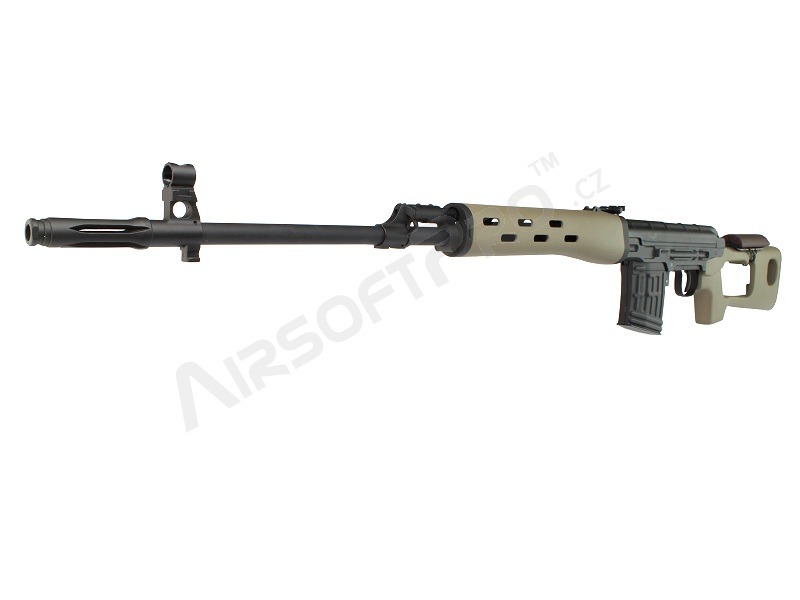 Popular 1:1 scale spring action airsoft sniper rifle. High performance, low cost, simple mechanism. 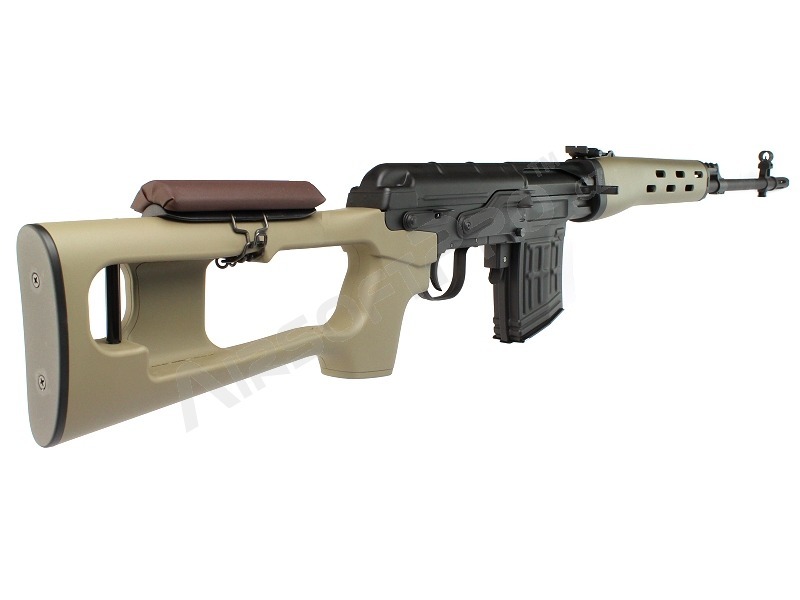 These are just some of the advantages of this replica of the legendary Russian sniper rifle SVD Dragunov. 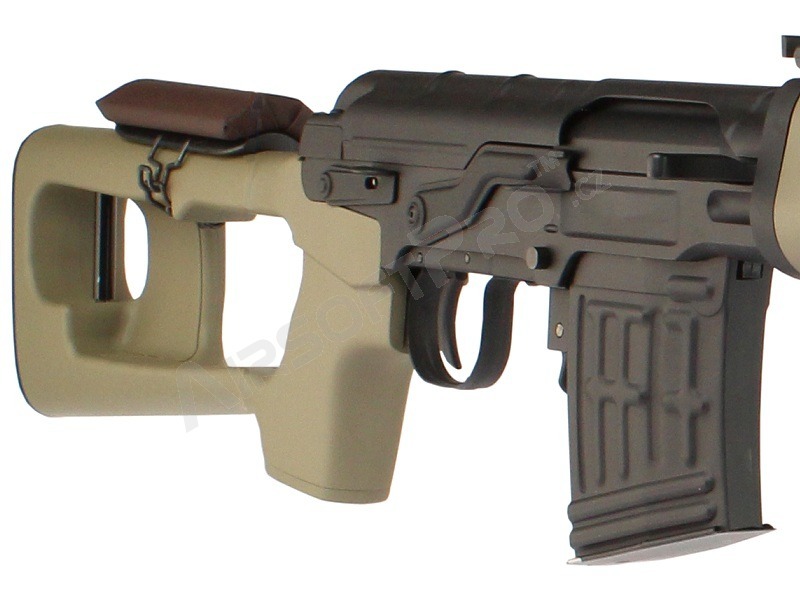 This durable rifle is almost full metal (except the stock with cheekpiece and foregrip). Operation of the weapon is very simple. 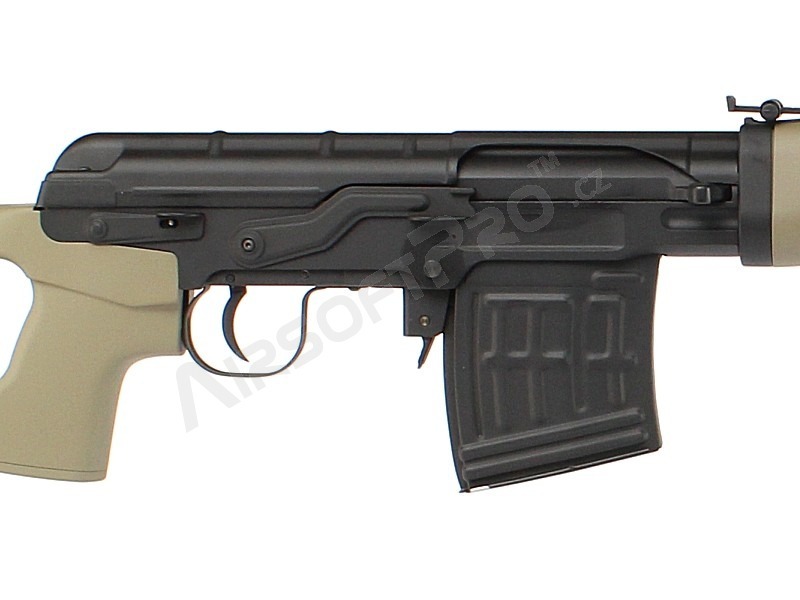 Just fill the spring magazine with 60 bullets and loadi it in to rifle. We suggest you to by speed loader for faster BBls load. Then switch lever to fire mode and manually pull back bolt. 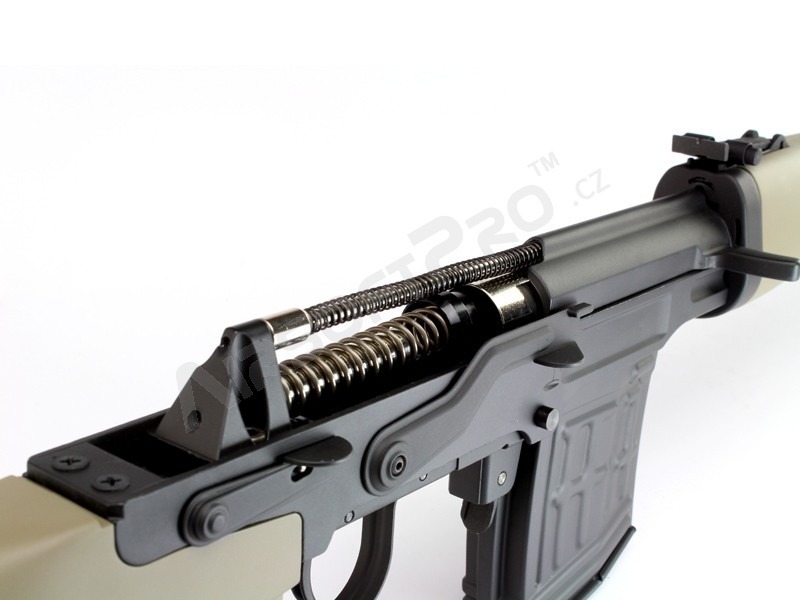 This lock piston in a back position and gun is ready to shot. 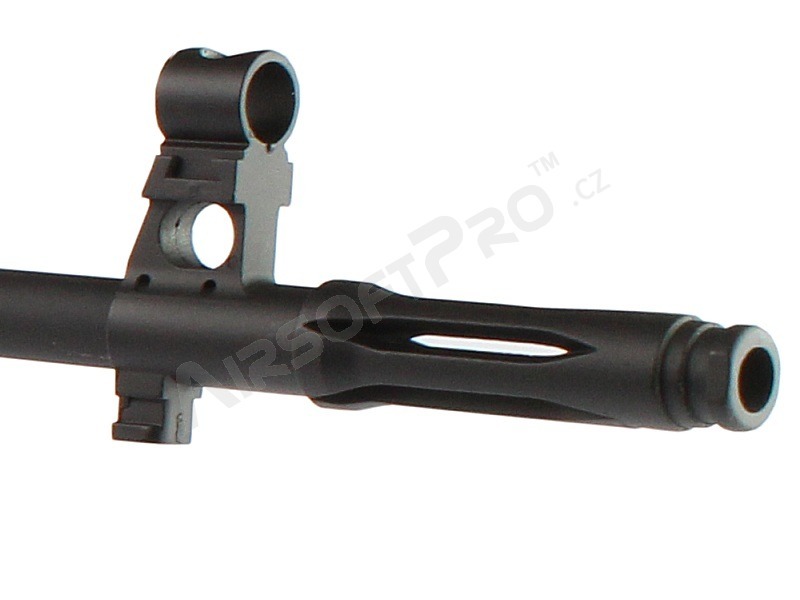 This is a spring action rifle so you have to pull bolt back before every shot.. 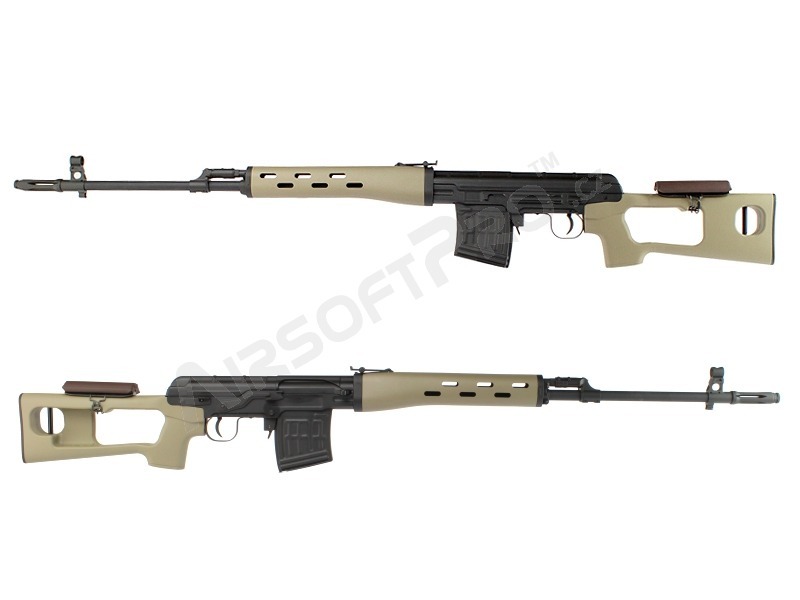 The advantage of these rifles is metal piston sear and piston and simple internal mechanism. 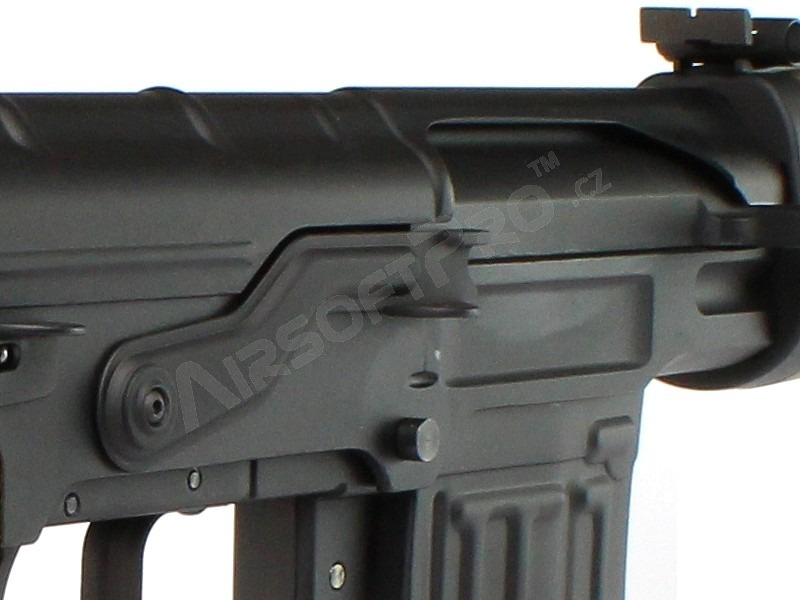 The springs are the same as electric (AEG) guns and the exchange is very fast. This makes it quite easy to increase performance. 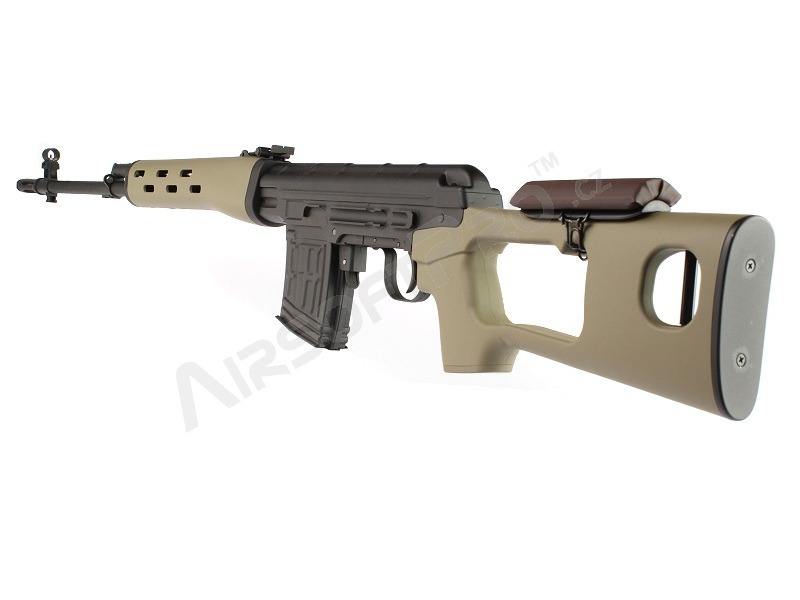 After all, the stock gun has a power up to 150 m/s (500 FPS) just out of box. Further upgrading is possible, but due to faster wear it is ideal to replace some inner parts for steel and even more durable. 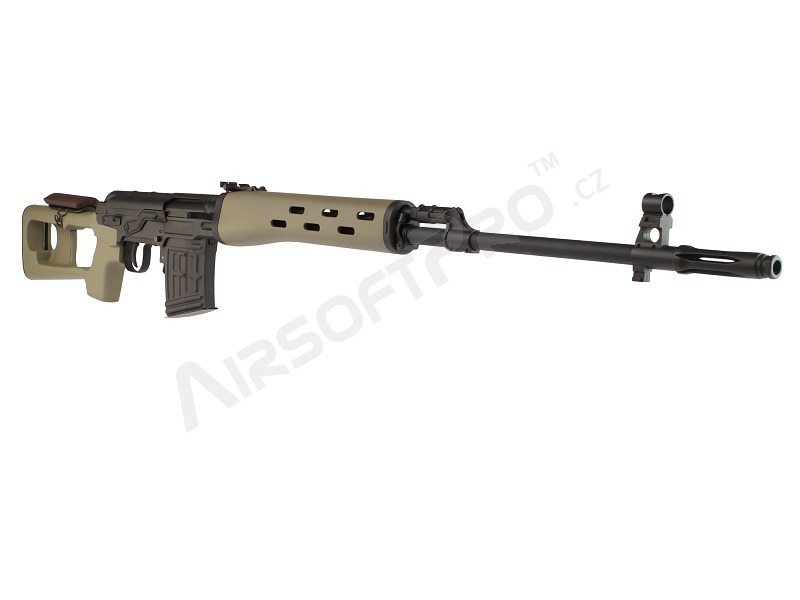 Many of these parts are manufactured under the AirsoftPro brand and can be purchased at this e-shop. Metal body, barrel and other parts (zinc and aluminum alloys). 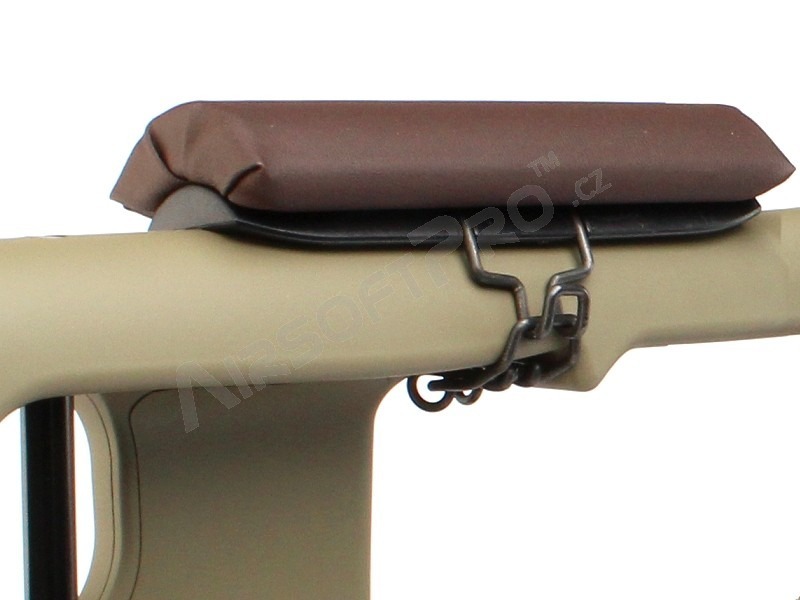 Typical cheekpiece covered with leatherette. Simple operation, virtually no maintenance. Wide range of upgrade parts. High performance just out of the box. Easy spring change and therefore easy downgrade or upgrade.